Not truly an interview, this is actually an extended biography of the Austrian symphonic Doom band Estatic Fear as assembled by the Russian group Shadow Suite from various sources including personal correspondences. Estatic Fear's extended biography: 'Some Mysteries Unveiled'. This biography is the English language version of Estatic Fear's history as compiled by St. Petersburg band Shadow Suite, and based on informal interviews and personal correspondence with Stauff and Calix Miseriae during 2007-2017, information from The Metal Archives, and other online sources. Note (Sept 2017): A Russian translation of this bio is now available on the Doom-metal.ru website. Linz, capital of Upper Austria. Linz is a cozy city in Upper Austria surrounded by inspiring architectural sites and breathtaking natural landscapes. In the region one may find any kind of artistic inspiration – quiet pastures and raging torrents, primeval forests and grim metal and concrete remnants of World War II, solemn medieval castles and crystal clear lakes, austere mountain ridges and blossoming meadows. The endless shift of seasons enhances this magic further, by colouring the inspirations in very different hues. So too does the unending passage of generations of artists, enriching the product of inspiration - arts - with a multitude of novel forms and perspectives that are, however, rooted in the works of predecessors. In centuries past, this cultural and geographical space (in a broad sense) bore the world-renowned geniuses of Haydn, Mozart, Beethoven, Schubert, Brahms, the Strausses and Mahler. Through their masterpieces this cultural, academic, and, undeniably, inspirational background made many ripples and waves, first in European, and then in global, musical heritage. 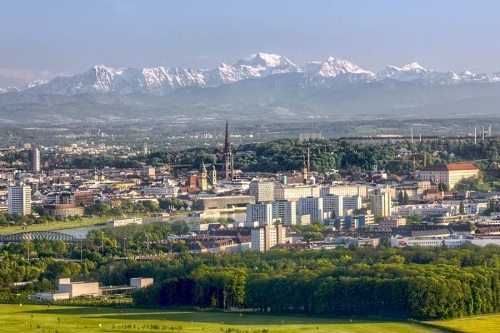 In the 20th century 1980s, Linz was reached and shaken by a global wave of rather different origin and nature: the wave of US and UK heavy metal music. It became cool among the youth to express themselves as 'rockers' or 'metalheads', to wear their hair long, with riveted leather, jeans, t-shirts displaying band names and monsters, to listen to Metallica, Iron Maiden, Venom, Black Sabbath, etc. 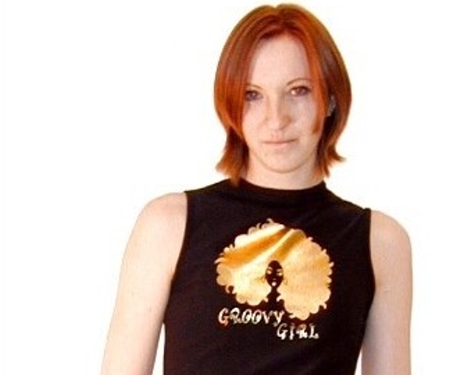 Gloomy emotional music, often serious thoughtful lyrics, liberal ideas and values, nonconformist lifestyle, drive, protest, riot, the freedom to be what you want to be, an opposition to traditional and conservative, all this attracted and inspired. Just as in so many other countries, the Austrian metal scene was shaped from this rich seed. Estatic Fear's founders Stauff and Beowulf, lifelong friends since their childhood, were raised on this global wave of heavy metal. Still teenagers in the early '90s, they gradually switched to more brutal and extreme subgenres, represented by bands like Deicide, Morbid Angel, Carcass. Being 16, they decided to form a band to make their own extreme music, and came up with the name Insanus. Both of them played rock guitar, so they were lacking a bassist, a drummer, and a vocalist - as well as any serious performance skills or song material. They were 17 when they encountered two other metalheads, wearing t-shirts with cool metal band logos, in the streets of Linz: these were the future Calix Miseriae and Astaroth Magus. After some discussion about music, it became clear that they had found a third guitarist and a drummer. Later in 1992, they found a room for rehearsals; Stauff wrote a couple of "typical old school death metal songs, nothing special". At that time Beowulf and Calix got more into doom death metal, such as Cathedral, Anathema, My Dying Bride and Katatonia, to name a few; Stauff liked that music too, yet generally preferred the 'faster' subgenres. After numerous rehearsal sessions, the special style developed by Calix Miseriae became the band's trademark sound. The time had come to change the band's name as well. Beowulf and Stauff have always been great fans of H.P.Lovecraft's books. In his masterpiece horror fiction story 'Rats In The Walls', there is the phrase "I had a moment of ecstatic fear". That's where the band's name is derived from: 'estatic' being a blend of two words, ecstatic and aesthetic. The band's magnificent logo was created by Stauff's friend, a graphic artist. Around 1993 Estatic Fear's very first demo tape was made, titled 'Wotan's Army'. It was a 13-minute song recorded in their rehearsal room with very basic and cheap equipment. The tape was never published or used in any way: it was recorded solely for the band's own satisfaction. In early 1994 the band had a brilliant opportunity to be featured on a sampler compilation of local hard rock and heavy metal bands. 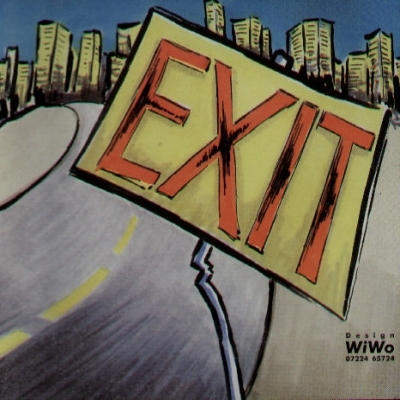 The 'EXIT' sampler (1995) was funded by the Linz municipality. 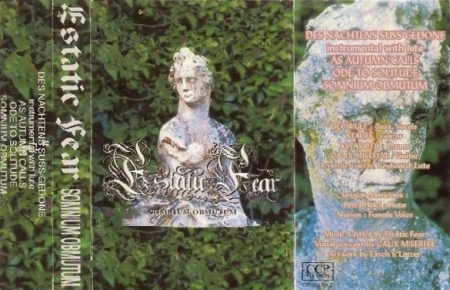 Each band created two songs for the compilation; though Estatic Fear only recorded one long song, instead. 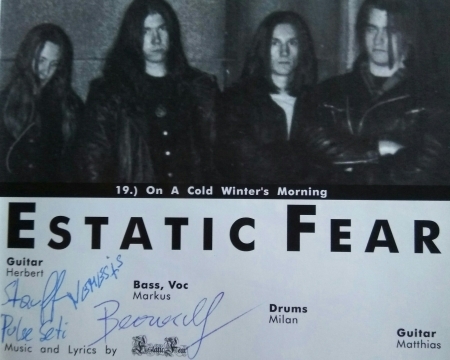 'On A Cold Winter's Morning' became the first song ever released by Estatic Fear: it was composed by Calix and arranged by the band together; the song had very Lovecraft-ish lyrics. Musically, the song sounds close to Anathema's earliest demo track, 'The Lord Of Mortal Pestilence'. The song received very positive response from some local and international critics, which earned the band the chance to proceed with a full-length album release on CCP Records. 'Somnium Obmutum' ('interrupted dream', in Latin), was about to be composed. At that point the band members' pseudonyms were chosen: Stauff, after Stauf Castle in Haibach ob der Donau; Beowulf, after a Norse epic hero; Calix Miseriae, 'chalice of misery' in Latin; Astaroth Magus, a characteristic black metal-ish nickname. Also at that time Stauff decided to create a band fitting his musical tastes better. Beowulf and Astaroth Magus joined it, they invited vocalist Berserker, and Astaroth was born, becoming the second Austrian black metal band after Abigor. 'Somnium Obmutum', original CCP tape release, 1997. Calix was Estatic Fear's mastermind, and the rest of the band didn't contribute much to the creative process. 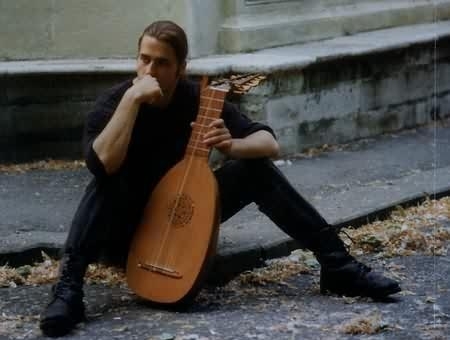 All 57 minutes of the recording were composed by him, with some assistance from his father - a professional guitar and lute teacher - including the original folk/classical themes. A fastidious listener can hear the motif of Tchaikovsky's 'The young child Jesus had a garden' in the acoustic guitar part during the last third of the track 'Somnium Obmutum'. Calix wrote the album's complex lyrics: the themes which inspired them were melancholy, lost love, striving for death in her eternal beauty, loneliness. He had taken Latin classes in school, and he penned some lines in Latin; the Old German lines were written in genuine classical poetic style, which was also used for the English verses on this (and the following) album. He also created the cover art, photos of a time-worn sculpture from a lush garden in the vicinity of the Linz castle. Unfortunately, in the early 2000s this solemn and mysterious monument of the past was ruined by vandals. 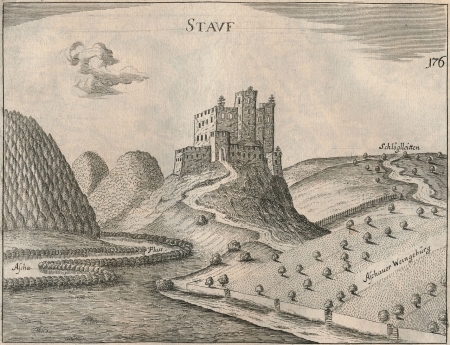 This area around the Linz castle, as well as the austere ruined castle Stauf in Haibach ob der Donau (Hinterberg), was a great source of inspiration for the band's members; the latter castle's images were also used in Astaroth's debut album's art. 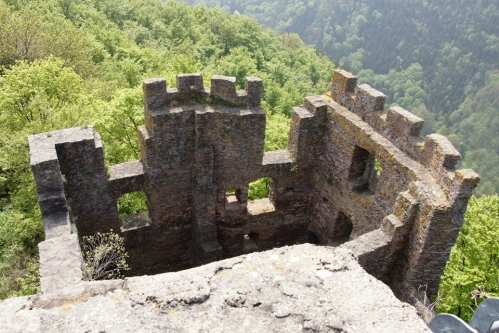 Contemporary ruins (click photo for more pictures). For the 'Somnium Obmutum' recording sessions two classically trained guest musicians were invited to the studio: Petra (flute) and Marion (vocals). Due to the material's complex instrumentation and the intimate existential nature of Estatic Fear's music, it was becoming clear to Stauff and the other band members that it was never meant to be played live, so Astaroth was their way to perform on stage and get a live response from their listeners. Besides, according to Stauff, Calix always insisted he didn't feel like doing live gigs. Over the decade of its existence Astaroth performed many concerts in Austria and abroad, and released several versatile albums and music videos. That was Stauff and Beowulf's full-fledged brainchild, while in Estatic Fear they were really only playing "an extra's role". Line-up for 'Somnium Obmutum', 1997. After 'Somnium Obmutum', things didn't develop well within the band. Calix Miseriae played the main role in Estatic Fear: he wrote all the music and lyrics, and that gave him supremacy in the band, while the others believed it should be an equal-basis arrangement. So, the three of them decided to leave the band, even though it had been founded by Stauff and Beowulf. After that, Calix worked on the second album on his own, as a solo project with guest musicians. The split-up was quite bitter, and Stauff felt that he never wanted to go back to this music again. Instead, the three of them concentrated fully on Astaroth, though, additionally, between 1997 and 2000, Beowulf and Astaroth Magus released three albums with Thirdmoon. 'A Sombre Dance', 1999. The cover features a gothic fashion model from Linz, Eva. 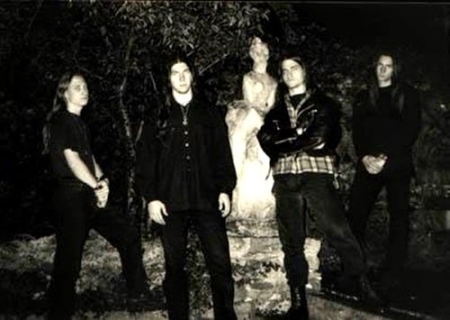 In 1999, Calix Miseriae released the second album, 'A Sombre Dance', in which the proportion of metal and folk/neoclassical music shifted noticeably towards the latter. The album was composed by Calix, and recorded with the involvement of a nonet of session musicians from very different backgrounds: Calix's father (who contributed some more lute and guitar parts), his equally amazing colleague Professor Franz Hageneder from Linz's academic music circles (flute), blues singer Claudia Schöftner (Mirkophonics), Jürgen Lalik and Thomas Hirtenkauf of death/thrash band Mortus (later reformed as the stoner/sludge Darius Mondop), Spearhead's drummer Max Pointner (who later also played in Edenbridge and In Slumber), bassist Claus Prellinger (CCP Records owner, Daylight Torn), and rock cellist Bernhard Vath (from Jack Frost). Claudia Schöftner. Tracks by Mirkophonics may be downloaded from Mediafire. The intro part of 'Chapter I' is clearly a tribute to Loreena McKennitt's 'Skellig' (YouTube), while the rest of the material is all originally composed by Calix. Just as on the first album, the acoustic tunes on 'A Sombre Dance' sound much like authentic 'old' music. It's most curious how Calix Miseriae blended many diverse influences without conflict or dissonance in this unique concoction of beauty, thrill, rage, and melancholy. Baroque/folk lute music, doom death metal and Beethoven-like piano melodies were solidly combined in terms of harmony, quality, and concept. All inspirations, ancient and modern, were artistically synthesized into a novel form of musical art; one much more academic and refined than the 1995 and 1996 releases. 'A Sombre Dance' was the next step along the evolution of Calix's distinct style. 'On A Cold Winter's Morning' was a Lovecraft-inspired old school doom/death metal prolusion with some lines in Latin; 'Somnium Obmutum', released merely a year later, featured a highly sophisticated structure and intricate lyrics in three languages, as well as a unique atmospheric sound: its metal parts still rough and old school, and its folk/neoclassical parts already polished almost to perfection. This second album, composed and recorded over a three year period, effectively balanced complexity and conventionalism, melody and heaviness, harshness and intricacy, the contemporary and the ancient. In 2003, Calix wrote a short song for Hrossharsgrani's album 'Schattenkrieger', titled 'Sechster Schattenzyklus/Wenn Winters Sang und Klang Verstummt', with lyrics inspired by Tolkien's 'Lord Of The Rings'. In an interview, he mentioned he had composed the piece quickly for his friends from the band. Between 2007 and 2009, he was contacted by several Estatic Fear fans through email, and in his messages Calix mentioned that plenty of new material had been composed as drafts and sketches over the decade, however he was too busy with his career in information technologies to put them all together, record them, and release a CD (or even two). In early 2017, in personal correspondence, Stauff mentioned that he and Beowulf wouldn't mind rejoining Calix to record the new material he had composed, for the sake of this wonderful music and their old friendship. As they became occupied with their lives, families and careers, they disbanded Astaroth after 2005. However, circa 2013, Stauff founded new band Pulse - very different, genre-wise, and quite experimental, although its foundations had been laid in Astaroth's latest album. Pulse (Facebook) can be classified as industrial cyber space metal. As the years passed after the release of the second album, Estatic Fear gradually gained popularity among metal fans all over the world. 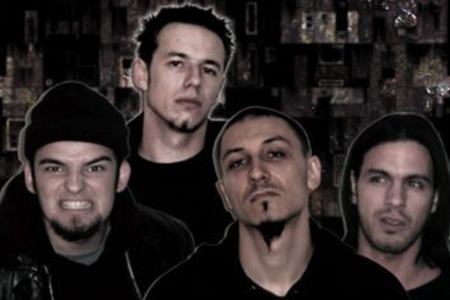 With zero promotion, a very limited number of physical copies available, and only two albums ever released, the band's music still managed to reach the ears and hearts of many metalheads via mp3 downloads, and frequently Estatic Fear's albums made it directly to the top-5 or top-10 metal albums of a listener, owing to their exceptional quality, atmosphere, and uniqueness. Armenia, Australia, Austria, Azerbaijan, Belarus, Belgium, Bosnia, Brazil, Bulgaria, Canada, Chili, China, Croatia, Colombia, Czech Republic, Egypt, Estonia, Faroe Islands, Finland, France, Germany, Greece, Guatemala, Hungary, Japan, Latvia, Lebanon, Lithuania, Kazakhstan, Mexico, Moldova, Netherlands, Iceland, India, Iran, Israel, Italy, Poland, Portugal, Romania, Russia, Scotland, Serbia, Sweden, South Africa, Spain, Syria, Taiwan, Tunisia, UK, Ukraine, USA, Uzbekistan, Viet Nam, and more. Highlights of the messages of support can be found at scribd.com. 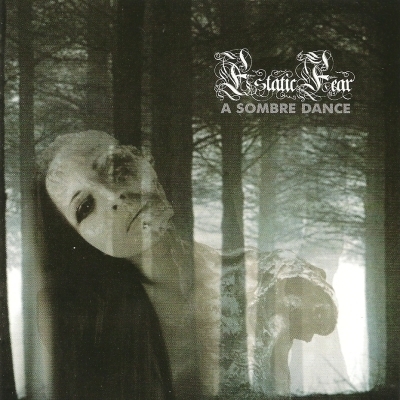 Estatic Fear's Facebook and last.fm communities also boast a total internationalism that might not be unusual for famous metal acts, but is quite extraordinary for a niche Austrian formation. Indeed, this music made a discrete global ripple, a silent multinational reverb, leaving a tiny yet gold-inlaid trace in the history of metal, and it also inspired numerous young musicians. Surprising as it is for a rare doom metal band, on YouTube one may view many covers of Estatic Fear's songs, and song snippets from both albums recorded by fans from a dozen of the above listed countries, most from Viet Nam, Russia (also Ukraine and Belarus), Turkey, and the EU countries. Besides that, according to some sources, Estatic Fear is one of the most well-known gothic doom metal bands in South Korea! The ultimate tribute was paid to Estatic Fear's music in November 2016, by a young doom metal project named Shadow Suite (Facebook), from St.Petersburg, Russia. They made a complete arrangement of Estatic Fear's 32-minute long epic track 'Somnium Obmutum' and artfully performed it live on stage. In May-June 2017, web versions of the full concert's video and audio were released via YouTube and torrents, gathering a lot of praise from Estatic Fear's fans. This complex and intricate piece, never meant to be played live, was reborn in this new iteration of inspiration. Currently, Shadow Suite are working on their own original CD release that will positively have Estatic Fear among its sources of creative inspiration. Locus Titanic Funus (Facebook), another unique and utterly unknown gothic doom metal gem from Russia, vividly reflected the deep contrasts and melancholic melodies of Estatic Fear in their debut CD "Cantus Lacrima" (Bandcamp). Another curious tribute, Sombredance (Facebook) was recorded in 2013 by Argentinean musician Karim, consisting of his own songs inspired by Estatic Fear's 'A Sombre Dance'. Angellore (Facebook), a doom metal act of exceptional quality and atmosphere in the spirit of Estatic Fear, was born in France. Vàli (Facebook), an outstanding Norwegian atmospheric neofolk one man band, also listed Estatic Fear as one of his key inspirations. Chinese neofolk Vergissmeinnicht (Facebook) is partially rooted in Estatic Fear's musical substrate, and so is darkfolk ambient/black metal project Bgmud (Facebook) from Iran. 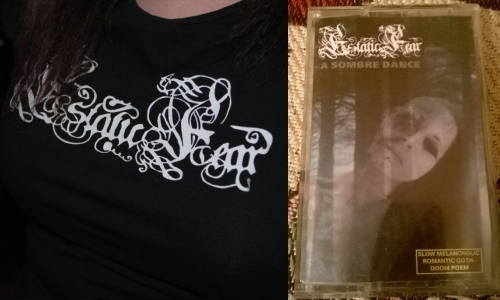 As Autumn Calls (Facebook) also inherited the spirit of Estatic Fear's music, which is also reflected in the band's name. And Ophelia (Facebook), gentle romantic doom metal from South Korea, debuted in 2010 with their seasons of the year themed "Do Sympathy With Your Fantasy". Their composing style was also inspired by both of Estatic Fear's albums. A generation of successors has been born. 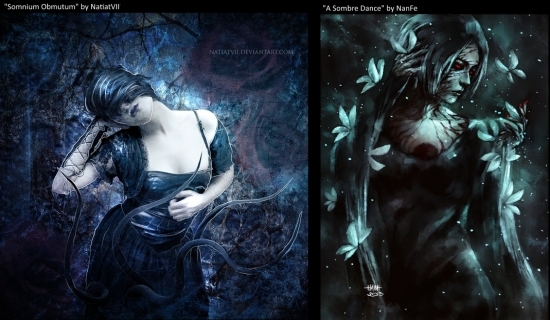 ...to artwork inspired by the albums: 'Somnium Obmutum' by NatiatVII (DeviantArt) and 'A Sombre Dance' by NanFe (DeviantArt). Progressive metal, art rock, heavy metal, doom metal, gothic metal, thrash metal, black metal, classical music: every genre's reproduction and evolution is a pyramid of succession of styles, techniques, ideas, approaches, and inspiration. Every new band stands on the shoulders of giants of the past in this pyramid, and some bands excel and become new stepping-stones or even pinnacles. Remaining a niche, mostly unknown, musical phenomenon, Estatic Fear became both a stepping-stone of inspiration and an apex of pure art for a not-very-numerous, yet widely spread and very devoted community of listeners and musicians. Inspirations of this uniqueness and intensity are never lost over decades, and should Calix ever decide to release more of his masterpieces of neoclassical light and doom metal darkness, the golden trace of this music will expand even further, as decades of hope and waiting have ripened the shimmering wine of anticipation. The solo Estatic Fear: Calix Miseriae (Matthias Kogler). Click HERE to discuss this article on the doom-metal forum. Visit the Estatic Fear bandpage. Interviewed on 2017-06-25 by Shadow Suite.